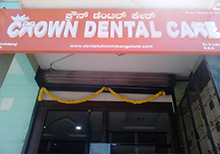 Crown Dental Care is known for its comprehensive Oral health care services. Our oral care programs is well recognized with world class technology and a sincere commitment to the community, we are delivering advanced dental health care programs and services, distinguished by the skill and compassion of our dentists and caregivers. We believe in providing services of the highest quality and in achieving superior levels of patient satisfaction through the combined efforts of our outstanding team. Since our inception we have guided an ever increasing number of clients each year, many through recommendation, along the very rewarding process of obtaining the very best that has to offer. First class clinic, top notch service and second to none support & after care exactly where needed. We’ve grown in a rapidly expanding market and to a greater extent played a dominant role in that expansion. We have always strived to set ourselves apart from the increasing number of sole-trader clinics offering their services in Bangalore by representing not just the clinic but also, and most importantly to us, the interests of our clients, you. Dr. Govindaraj is uniquely qualified dental medicine specialist and performs all phases of endodontic therapy including root canal therapy with final restoration. He is trained in dental implants and utilizes the most current techniques to provide minimally invasive procedures. Crown Dental Care team is made up of numerouspeople from many different backgrounds that have accepted the special calling of dental health care. From consultant dentists and dental nurses, to housekeepers and clerical staff, everyone at Crown Dental Care is part of an extended, caring family. Our Clinic family also includes dedicated volunteers who generously give their time and expertise to Crown Dental Care. These dedicated people spend countless hours helping Crown Dental Care fulfil its mission of service to the community. Customer service is an integral part of Crown Dental Care mission. As we strive to provide an excellent service to our patients, we also emphasise the importance of customer service between each other. It is all part of our people-oriented mission. 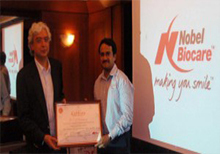 Dr.S.J.Govindaraj M.D.S graduated in 1999 and completed a three year post graduate programme. Fellow, Nobel Biocare Implant Systems. Dr.V.LakshmiPriya B.D.S graduated in 2000 and completed a postgraduate diploma in hospital administration and clinical research. Dr.Balu Subramanya M.D.S Consultant Periodontist & LANAP / LAT Specialist. Dr.Ramya M.D.S Consultant Prosthodontist specializes in Veneers, Zirconia crowns & bridges. Dr.Satish M.D.S Consultant Oral & Maxillofacial Surgeon.